Life With Angie: Free shopping at H&M! Do you use Wrapp? It's an app that ties in with Facebook and allows you to give your friends gift cards. Some are paid, but some of the gift cards are free! You can use it on your smartphone too, and sometimes there are deals you can redeem yourself. My sister and I use it all the time to give free gift cards to each other. One of the brands they have quite often is H&M. This month they had a $10 gift card, for use in store only. Heck yeah! H&M is very inexpensive and always has trendy stuff. 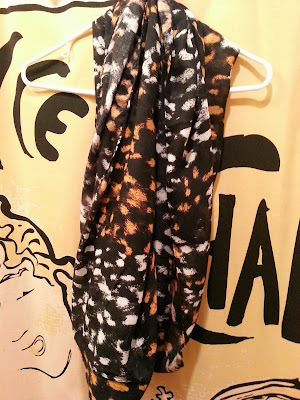 If all else fails at H&M, they always have scarves. Guess what I got? 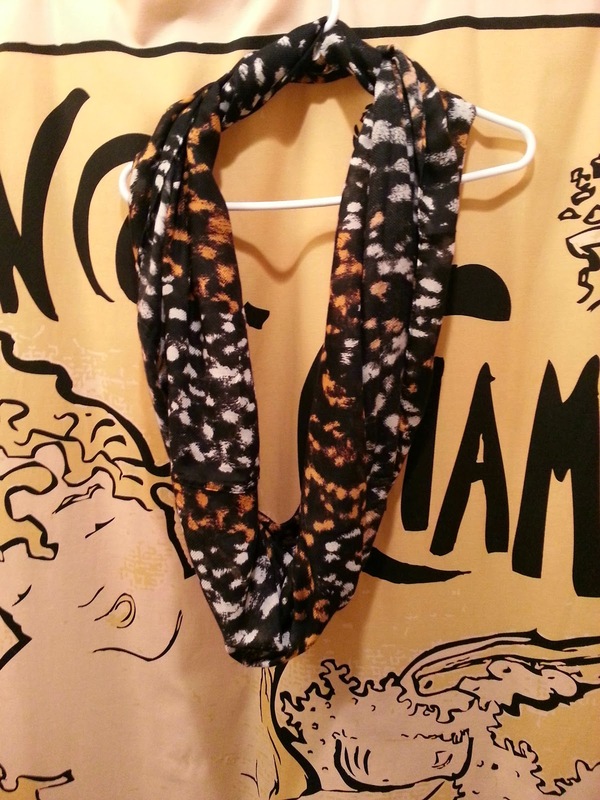 Infinity scarf in cool fall colors! I think it is an abstraction of an animal print, but I am not sure. I like it looking loose and blousy like this. Guess how much the scarf cost: $9.95! So with my coupon.... FREE!! Yes! I love a little free shopping. It keeps me going when I am on a budget. I'm excited to wear this with a fall outfit. Cute scarf! 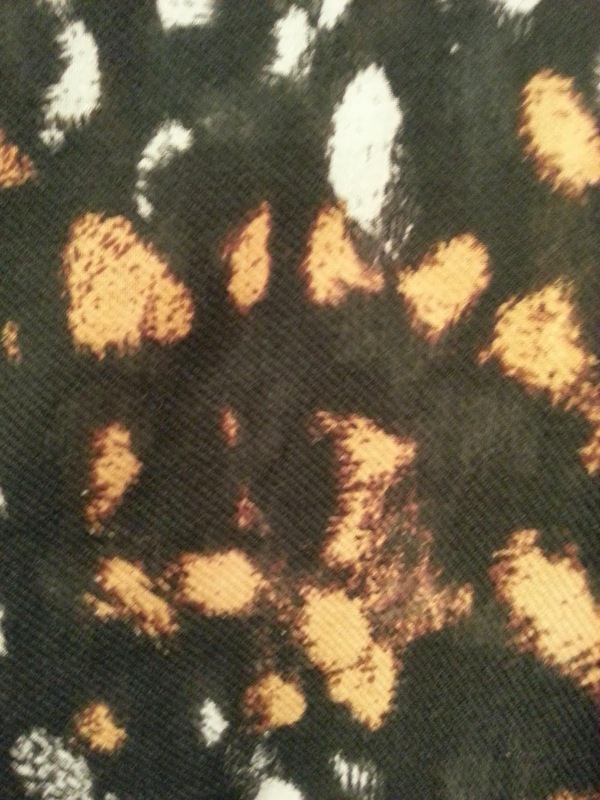 Looks like animal print to me too. Thank you so much for this post! Now my friend and I have followed suit! I have already gotten a $5 promotion from Godiva (yum!) I can't wait to use one for H&M!